The role of augmented reality in healthcare is increasing. 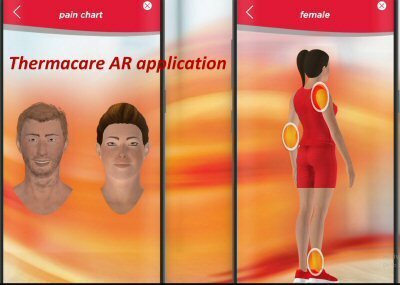 So we’ve outlined a few ways AR can benefit us in health sciences. Obviously, augmented reality in medicine can help to display the way to take a specific medicine in a visual way. Here is a good example of Pfizer’s AR powered by Blippar. Consumers can learn how ThermaCare works and, they can see how it relieves their pain and stiffness. The power of AR allows trainees and practicing physicians to see the educational information in front of them. Obviously, this can simply help practitioners understand how to administer a new treatment perfectly. It allows medical students to interact with a 3D representation of the body. Pharmaceutical sales representatives have to get a physician’s attention and quickly demonstrate the benefits of a new drug. The use of AR at this point can be hugely beneficial. Visualising a 3D organ on a physician’s desk and demonstrating the effect of the drug has more impact than an image. Augmented Reality can give you that opportunity, by highlighting important medical differences between your product and your competitor’s. Having blood drawn is not a pleasant experience for some patients. It is worse when the nurse has to try again and again. 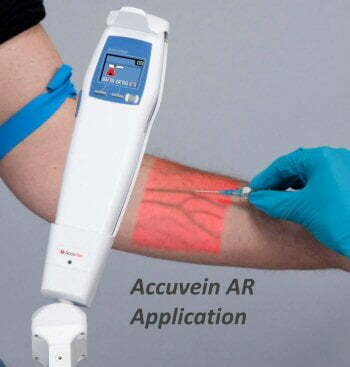 AccuVein uses AR technology with a handheld scanner. The system projects the where veins and valves are in the patient’s body. The projection over the skin helps nurses and doctors for an accurate injection. Most medical procedures are extremely complicated. However, applying the theory that appears in a textbook to real-world processes can be incredibly difficult to grasp for medical students. However, certain AR applications allow you to display anatomical details and information on a 3D printed human skeleton. These details improve the level of understanding that medical students can attain and help them visually. With the development of AR, some of the most highly respected consultants across the world can share their expertise using Google Glass. ‘Medical Realities’ is a good example of this. It is a platform which positions medical students right next to the surgical team as they operate. Surprisingly, the 360 video lets you look around to see how everyone interacts and get a sense of the dynamics of working during the operations.